Times Square bomb suspect Faisal Shahzad has pleaded guilty to attempted use of a weapon of mass destruction. The Bridgeport man was indicted on Thursday on terrorism charges by a federal grand jury in New York. The indictment stated there were definite links that a Pakistan terror group trained Shahzad and provided him with $12,000 in cash to carry out the attack. Shahzad was originally charged with five counts in connection with his alleged car bomb plot to kill Americans back on May 3. He is now facing 10 terror-related counts including a new weapons charges. On Monday, he pleaded guilty to the first of the 10 charges, which would bring a penalty of life in prison, but said he plans to plead guilty to all of them. He told the judge he wanted to "plead guilty and 100 times more." He also warned that unless the U.S. leaves Muslim lands, "We will be attacking U.S."
Entering pleas one-by-one, he began by pleading guilty to attempted use of weapons of mass destruction. The federal judge accepted Shahzad's plead late Monday. Shahzad is accused in a plot that fizzled when a gasoline-and-propane bomb failed to ignite in an SUV parked near a Broadway theater May 1. He was arrested two days later. Officials have said Shahzad confessed and detailed his alleged role. In addition to the terror counts, prosecutors added new weapons charges against Shahzad. The night he was arrested, a semi-automatic rifle he allegedly bought back on March 15 in Connecticut was left behind in a second vehicle. Prosecutors said Shahzad did receive explosives training from terrorists linked to Tehrik-e-Taliban. And on February 25, a member of the believed to be part of that terrorist group allegedly wired him $5,000 dollars to Massachussets for use in carrying out the plot. 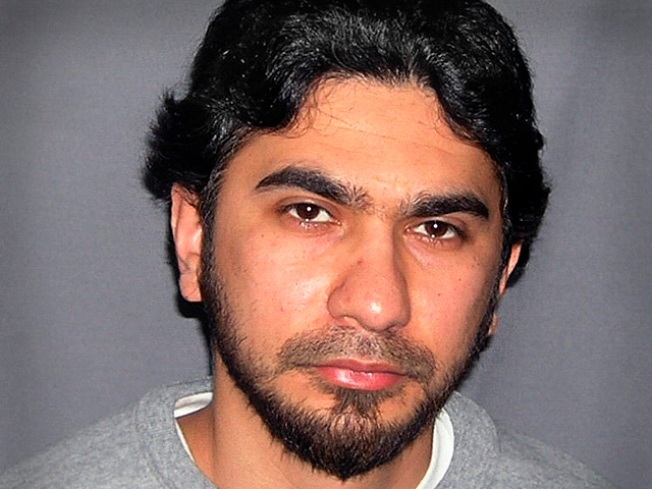 Weeks later, on April 10, court papers said Shahzad recieved $7,000 more dollars wired to Ronkonkoma, Long Island. Shahzad, 30, was arrested May 3 at Kennedy aiport after he allegedly tried to ignite the bomb in the back of his green Nissan Pathfinder that he had parked in Times Square. Count 1 – Attempted use of a weapon of mass destruction, life in prison. Count 2 – Conspiracy to use a weapon of mass destruction, life in prison. Count 3 – Possession of a firearm during and in relation to a conspiracy to use a weapon of mass destruction, life in prison. Count 4 – Attempted act of terrorism transcending national boundaries, life in prison. Count 5 – Conspiracy to commit an act of terrorism transcending national boundaries, life in prison. Count 6 – Attempted use of a destructive device during and in relation to a conspiracy to commit an act of terrorism transcending national boundaries, life in prison. Count 7 – Transportation of an explosive, 10 years in prison. Count 8 – Conspiracy to transport an explosive, 10 years in prison. Count 9 – Attempted destruction of property by fire and explosive, 20 years in prison. U.S. attorney Preet Bharara recently said,"Today’s ten-count indictment returned in the Southern District of New York charges Faisal Shahzad with conspiring with the Pakistani Taliban to wreak death and destruction in Times Square." Police Commissioner Ray Kelly reminded New Yorkers to be vigilant given the ongoing terror threat to the city. New York FBI director George Venizelos said Shahzad was set to carry out a "horrendous crime" and vowed the FBI will work with the NYPD around the clock to protect the city.